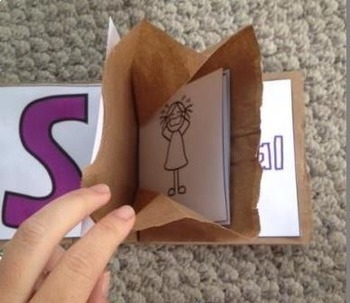 This packet has everything you need to make fun paper bag articulation books with your students! 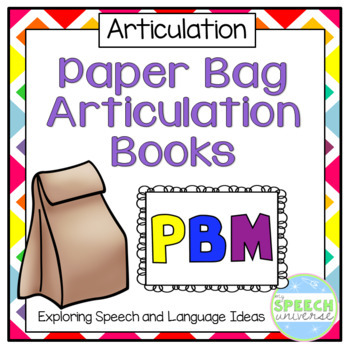 There are two books included for each sound in this packet for P, B, and M. There is a color version that you can make to use with students or to pass out. There is also a black and white version that students can color to personalize them. 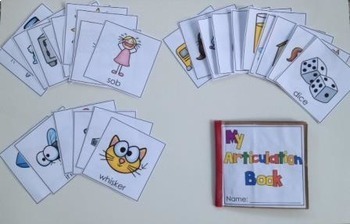 There are also three pages of activities that students can do at home as practice if they take the book home. 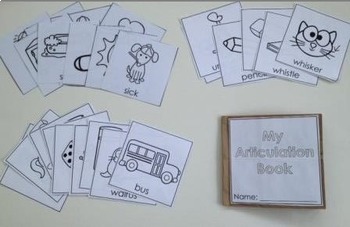 Don’t worry, there are very detailed directions for putting your paper bag articulation books together!